Thermostat control Allows precise operation. 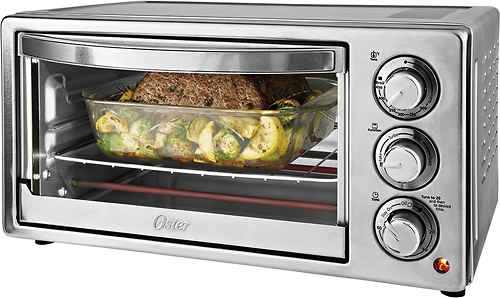 Toast, bake and broil options Plus a convection function for versatile use. 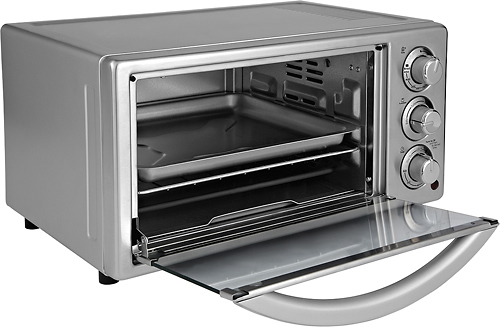 6-slice capacity Offers ample space, so you can toast multiple slices of bread simultaneously. Automatic shutoff Helps ensure safety. 60-minute timer Enables you to keep track of cooking times. Baking pan Provides an optimal cooking surface. Crumb tray Catches fallen pieces of food to facilitate cleanup. Metal construction Creates a durable design.